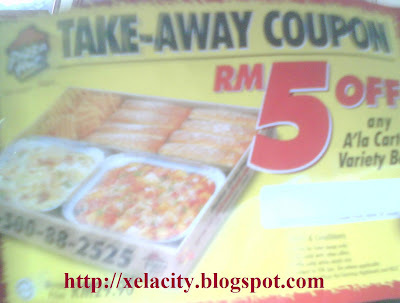 This RM5 coupon is for any A'la Carte Variety Box Take Away only. The normal price is RM 29.90 and the RM5 coupon is equivalent to about 17% discount. Anyway, it is not valid at Genting and KLCC.